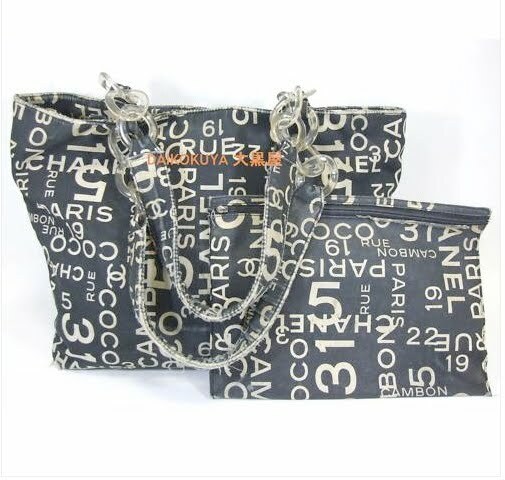 Lately, while scouring eBay in pursuit of my very own authentic Chanel bag (I already have a pseudo Chanel) I have been noticing an incredible decrease in the price of Chanel Bags. Just a month ago, bags were going for anywhere between $800 to $3,000, without a single double digit in site. On the the other hand, these past couple days, bags have been snatched up for $30-100 odd dollars! But, silly me, I always think there is a better deal coming around the corner. Come on Christina, move your heels and snag a $40 Chanel! Hmmm, know that I think about it, maybe I shouldn't have shared my new found enlightenment...! Jussst kidding, enjoy the glory of CHEAP CHANEL my friends! 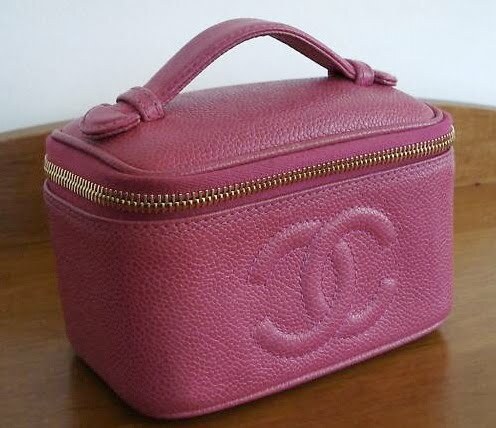 Chanel Makeup Case, $69, ends in 4 days. 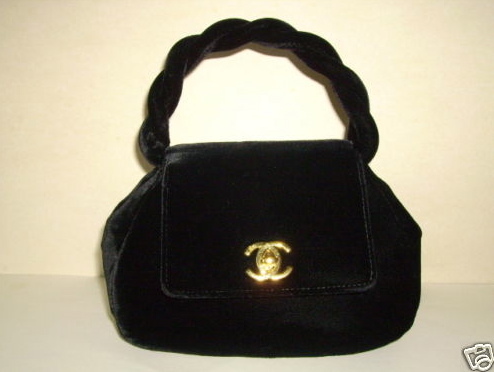 Chanel Black Velvet Handbag, $24, ends in one day. Chanel Canvas Tote, $1.25, 3 days left. 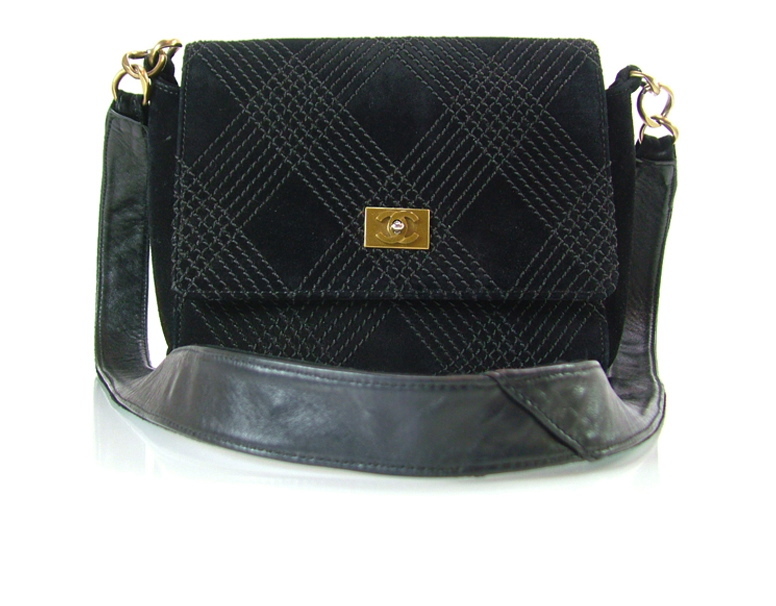 Chanel Suede Quilted Shoulder Bag, $61, ends in 1 day. 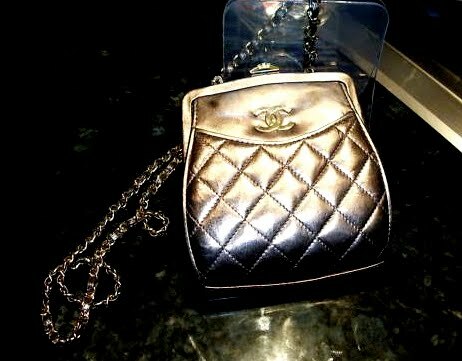 This Chanel bag, new with tags, went for $87! Full priced, this metallic bag is a couple thousand dollars! 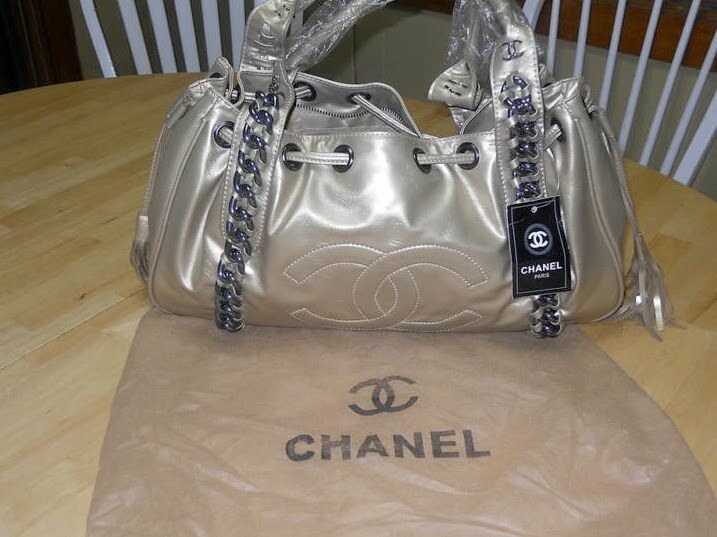 This silver Chanel bag went for only $24! When a Chanel auction ends in double digits, something in the universe must be going haywire! Great bargains! Awesome blog, I'm following! 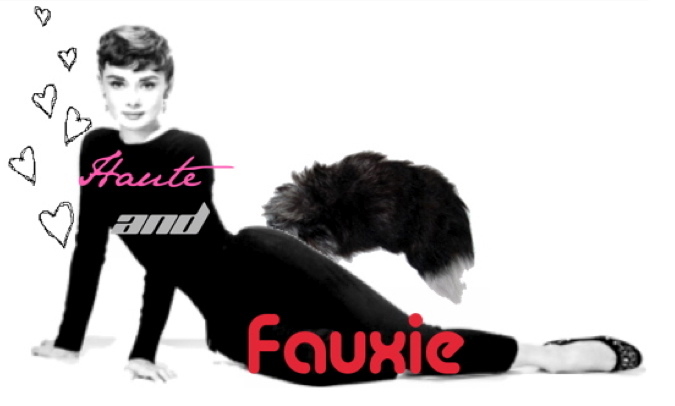 Oh this is a fabulous post! Great Idea! I love eBay! thank you for your comment! hope you'll visit me again soon or become my follower :} - love your blog i'm following!! You are in our blogger swap! Email me at lynzy@fromskirtstoskillets.com to let me know what your email address is!